Summer camp is an opportunity for your child to form new friendships, learn new skills, and be more independent. But are they ready? If your child is asking about going to a sleepaway summer camp, you might have concerns about how well they’ll do away from home. Here are a few ways for you to decide if camp is right for them. Age-appropriate chores — such as simple cooking, taking out the trash, doing the dishes, or mopping the floor — teach your child useful skills that they’ll need in life and at camp. If they consistently get them all done, you can feel a little better knowing they can take care of themselves. Ask your child to improve their academic performance, such as getting a C up to a B or maintaining all A’s. If your child can reach their academic goal, it will show you that they’re willing to work hard for what they want. Kindness is a key sign of maturity and responsibility, so set a goal for your child to do at least one random act of kindness a week. This teaches them the value of generosity and fosters a caring attitude, which they’ll need at summer camp when they’re trying to make friends. If your child isn’t involved in an extracurricular activity, sign them up for one that they show interest in. Set a goal for them to accomplish by the end of the year in that activity, such as playing in a recital or winning a sports game. A small pet, such as a fish or hamster, gives your child a taste of real responsibility. If they’re able to feed and water their pet and keep their environment clean — on top of chores, schoolwork, and other activities — it proves your child is responsible, and they’re ready to take on the summer in a camp full of adventure. 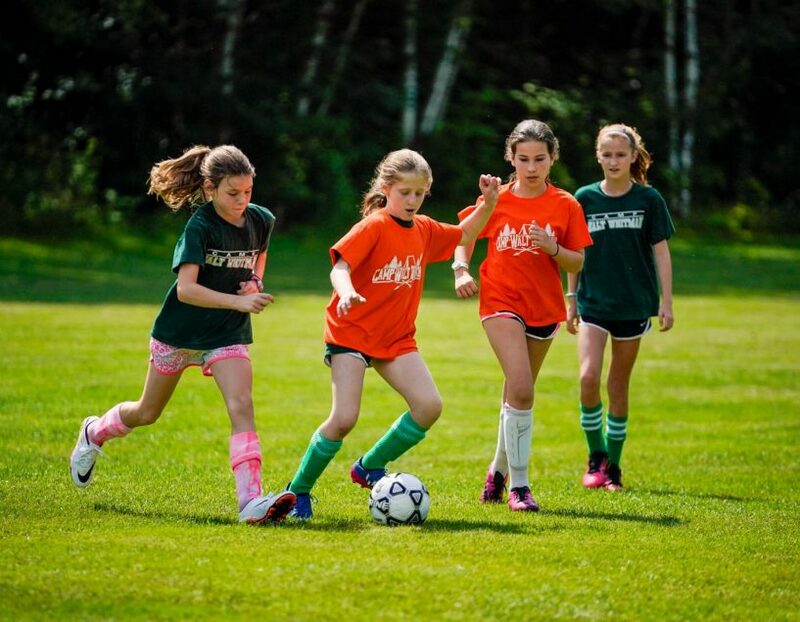 If you’re searching for the perfect summer camp for your child, check out Camp Walt Whitman in New England. They’ve been in operation since 1948, founded with the vision of providing a safe summer activity camp that emphasizes themes found throughout Whitman’s poetry: friendship, connectedness, and the beauty of nature. With both seven- and three-week sleepaway summer camp options, they focus on helping your child develop new skills, confidence, and curiosity, with activities such as water surfing, canoeing, and arts. See an overview of their program online and call (800) 657-8282 to enroll your child.